If you publish anything online, one of your top priorities should be security. Getting hacked can negatively affect your online reputation and result in loss of critical and private data. Over the past year Google has noticed a 180% increase in the number of sites getting hacked. While we are working hard to combat this hacked trend, there are steps you can take to protect your content on the web. 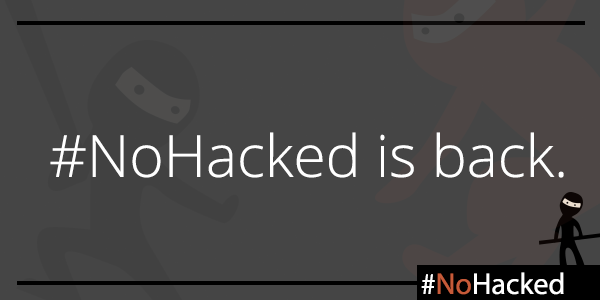 This week, Google Webmasters has launched a second #NoHacked campaign. We’ll be focusing on how to protect your site from hacking and give you better insight into how some of these hacking campaigns work. You can follow along with #NoHacked on Twitter and Google+. We’ll also be wrapping up with a Google Hangout focused on security where you can ask our security experts questions. We’re kicking off the campaign with some basic tips on how to keep your site safe on the web. Creating a password that’s difficult to guess or crack is essential to protecting your site. For example, your password might contain a mixture of letters, numbers, symbols, or be a passphrase. Password length is important. The longer your password, the harder it will be to guess. There are many resources on the web that can test how strong your password is. Testing a similar password to yours (never enter your actual password on other sites) can give you an idea of how strong your password is. Also, it’s important to avoid reusing passwords across services. Attackers often try known username and password combinations obtained from leaked password lists or hacked services to compromise as many accounts as possible. You should also turn on 2-Factor Authentication for accounts that offer this service. This can greatly increase your account’s security and protect you from a variety of account attacks. We’ll be talking more about the benefits of 2-Factor Authentication in two weeks. One of the most common ways for a hacker to compromise your site is through insecure software on your site. Be sure to periodically check your site for any outdated software, especially updates that patch security holes. If you use a web server like Apache, nginx or commercial web server software, make sure you keep your web server software patched. If you use a Content Management System (CMS) or any plug-ins or add-ons on your site, make sure to keep these tools updated with new releases. Also, sign up to the security announcement lists for your web server software and your CMS if you use one. Consider completely removing any add-ons or software that you don't need on your website -- aside from creating possible risks, they also might slow down the performance of your site. Your hosting provider’s policy for security and cleaning up hacked sites is in an important factor to consider when choosing a hosting provider. If you use a hosting provider, contact them to see if they offer on-demand support to clean up site-specific problems. You can also check online reviews to see if they have a track record of helping users with compromised sites clean up their hacked content. If you control your own server or use Virtual Private Server (VPS) services, make sure that you’re prepared to handle any security issues that might arise. Server administration is very complex, and one of the core tasks of a server administrator is making sure your web server and content management software is patched and up to date. If you don't have a compelling reason to do your own server administration, you might find it well worth your while to see if your hosting provider offers a managed services option. 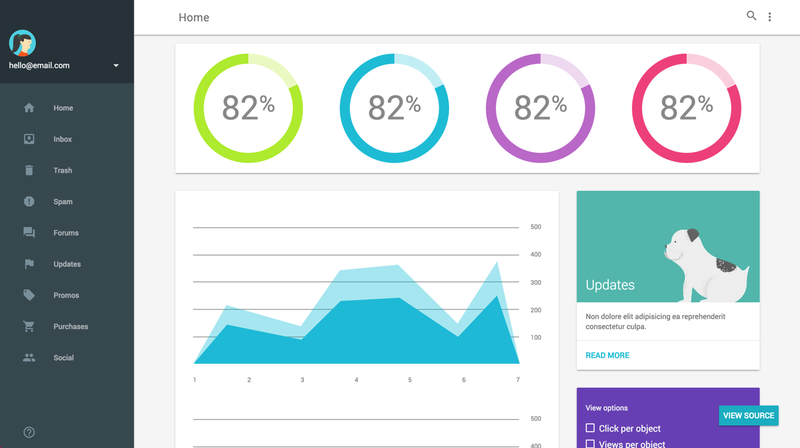 It’s important to have tools that can help you proactively monitor your site.The sooner you can find out about a compromise, the sooner you can work on fixing your site. We recommend you sign up for Search Console if you haven’t already. Search Console is Google’s way of communicating with you about issues on your site including if we have detected hacked content. You can also set up Google Alerts on your site to notify you if there are any suspicious results for your site. For example, if you run a site selling pet accessories called www.example.com, you can set up an alert for [site:example.com cheap software] to alert you if any hacked content about cheap software suddenly starts appearing on your site. You can set up multiple alerts for your site for different spammy terms. If you’re unsure what spammy terms to use, you can use Google to search for common spammy terms. We hope these tips will keep your site safe on the web. Be sure to follow our social campaigns and share any tips or tricks you might have about staying safe on the web with the #NoHacked hashtag. If you have any additional questions, you can post in the Webmaster Help Forums where a community of webmasters can help answer your questions. You can also join our Hangout on Air about Security on August 26th. Originally posted by the Webmaster Central Blog. Easier Auth for Google Cloud APIs: Introducing the Application Default Credentials feature. When you write applications that run on Google Compute Engine instances, you might want to connect them to Google Cloud Storage, Google BigQuery, and other Google Cloud Platform services. Those services use OAuth2, the global standard for authorization, to help ensure that only the right callers can make the right calls. Unfortunately, OAuth2 has traditionally been hard to use. It often requires specialized knowledge and a lot of boilerplate auth setup code just to make an initial API call. If you're not already familiar with auth concepts, including 2LO, 3LO, and service accounts, you may find this introduction useful. 2-legged vs. 3-legged OAuth (2LO vs. 3LO) -- OAuth2 includes support for user-owned data, where the user, the API provider, and the application developer all need to participate in the authorization dance. Most Cloud APIs don't deal with user-owned data, and therefore can use much simpler two-party flows between the API provider and the application developer. gcloud CLI -- while you're developing and debugging your app, you probably already use the gcloud command-line tool to explore and manage Cloud Platform resources. ADC lets your application piggyback on the auth flows in gcloud, so you only have to set up your credentials once. service accounts -- if your application runs on Google App Engine or Google Compute Engine, it automatically has access to the built-in "service account", that helps the API provider to trust that the API calls are coming from a trusted source. ADC lets your application benefit from that trust. You can find more about Google Application Default Credentials here. This is available for Java, Python, Node.js, Ruby, and Go. Libraries for PHP and .Net are in development. Chromecast, our first Google Cast device, has seen great success with 17 million devices already sold and over 1.5 billion touches of the Cast button. Consumers now get all the benefits of their easy to use personal mobile devices, with content displayed on the largest and most beautiful screen in the house. By adding Google Cast functionality to their apps, developers can gain visits, engagement, and/or higher monetization. Here are four real-world examples showing how very different companies are successfully using Google Cast technology. Read on to learn more about their successes and how to get started. 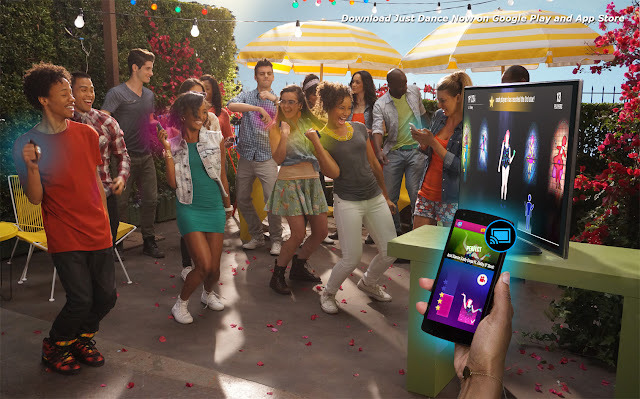 Interactive-game giant Ubisoft adopted Google Cast technology as a new way to experience their Just Dance Now game. As the game requires a controller and a main screen on which the game is displayed, Ubisoft saw Chromecast as the simplest and most accessible way to play. Chromecast represents 30 percent of all songs launched on the game in the US. Chromecast players monetize 2.5 times more than other players - they’re more engaged, play longer and more often than other players. Ubisoft also has seen more long-term subscribers with Chromecast. “The best Just Dance Now experience is on a big screen, and Chromecast brings an amazingly quick launch and ease of use for players to get into the game,” says Björn Törnqvist, Ubisoft technical director. Fitnet is a mobile app that delivers video workouts and converts your smartphone’s or tablet’s camera into a biometric sensor to intelligently analyze your synchronicity with the trainer. The app provides a real-time score based on the user’s individual performance. The company turned to Chromecast to provide a compelling, integrated big screen user experience so users don’t need to stare at a tiny display to follow along. Chromecast users now perform 35 percent better on key engagement metrics Fitnet regard as critical to their success”—metrics such as logins, exploring new workouts, and actively engaging in workout content. “Integrating with Google Cast technology has been an excellent investment of our time and resources, and a key feature that has helped us to develop a unique, compelling experience for our users,” Bob Summers, Fitnet founder and CEO. 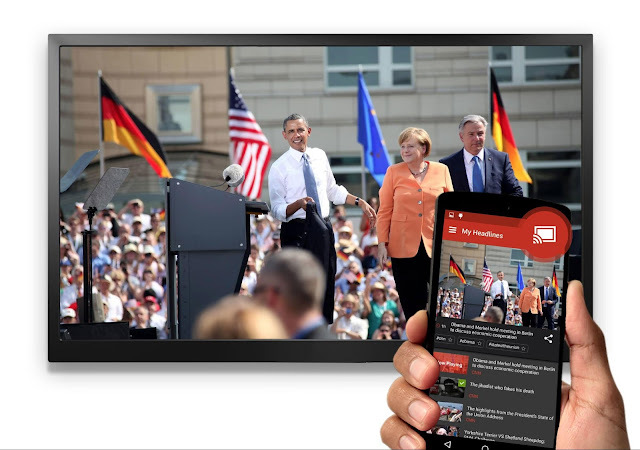 More and more developers are discovering what Google Cast technology can do for their app. Check out the Google Cast SDK for API references and take a look at our great sample apps to help get you started. Just like lighthouses have helped sailors navigate the world for thousands of years, electronic beacons can be used to provide precise location and contextual cues within apps to help you navigate the world. For instance, a beacon can label a bus stop so your phone knows to have your ticket ready, or a museum app can provide background on the exhibit you’re standing in front of. Today, we’re beginning to roll out a new set of features to help developers build apps using this technology. This includes a new open format for Bluetooth low energy (BLE) beacons to communicate with people’s devices, a way for you to add this meaningful data to your apps and to Google services, as well as a way to manage your fleet of beacons efficiently. Working closely with partners in the BLE beacon industry, we’ve learned a lot about the needs and the limitations of existing beacon technology. So we set out to build a new class of beacons that addresses real-life use-cases, cross-platform support, and security. At the core of what it means to be a BLE beacon is the frame format—i.e., a language—that a beacon sends out into the world. Today, we’re expanding the range of use cases for beacon technology by publishing a new and open format for BLE beacons that anyone can use: Eddystone. Eddystone is robust and extensible: It supports multiple frame types for different use cases, and it supports versioning to make introducing new functionality easier. It’s cross-platform, capable of supporting Android, iOS or any platform that supports BLE beacons. And it’s available on GitHub under the open-source Apache v2.0 license, for everyone to use and help improve. By design, a beacon is meant to be discoverable by any nearby Bluetooth Smart device, via its identifier which is a public signal. At the same time, privacy and security are really important, so we built in a feature called Ephemeral Identifiers (EIDs) which change frequently, and allow only authorized clients to decode them. EIDs will enable you to securely do things like find your luggage once you get off the plane or find your lost keys. We’ll publish the technical specs of this design soon. Eddystone offers two key developer benefits: better semantic context and precise location. To support these, we’re launching two new APIs. The Nearby API for Android and iOS makes it easier for apps to find and communicate with nearby devices and beacons, such as a specific bus stop or a particular art exhibit in a museum, providing better context. And the Proximity Beacon API lets developers associate semantic location (i.e., a place associated with a lat/long) and related data with beacons, stored in the cloud. This API will also be used in existing location APIs, such as the next version of the Places API. Eddystone’s extensible frame formats allow hardware manufacturers to support multiple mobile platforms and application scenarios with a single piece of hardware. An existing BLE beacon can be made Eddystone compliant with a simple firmware update. At the core, we built Eddystone as an open and extensible protocol that’s also interoperable, so we’ll also introduce an Eddystone certification process in the near future by closely working with hardware manufacturing partners. We already have a number of partners that have built Eddystone-compliant beacons. As businesses move from validating their beacon-assisted apps to deploying beacons at scale in places like stadiums and transit stations, hardware installation and maintenance can be challenging: which beacons are working, broken, missing or displaced? So starting today, beacons that implement Eddystone’s telemetry frame (Eddystone-TLM) in combination with the Proximity Beacon API’s diagnostic endpoint can help deployers monitor their beacons’ battery health and displacement—common logistical challenges with low-cost beacon hardware. 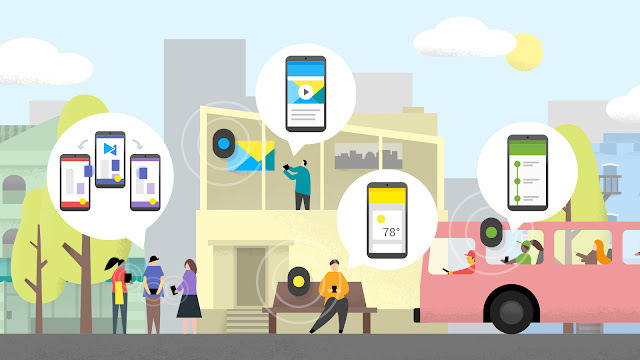 We’re also starting to improve Google’s own products and services with beacons. Google Maps launched beacon-based transit notifications in Portland earlier this year, to help people get faster access to real-time transit schedules for specific stations. And soon, Google Now will also be able to use this contextual information to help prioritize the most relevant cards, like showing you menu items when you’re inside a restaurant. We want to make beacons useful even when a mobile app is not available; to that end, the Physical Web project will be using Eddystone beacons that broadcast URLs to help people interact with their surroundings. Beacons are an important way to deliver better experiences for users of your apps, whether you choose to use Eddystone with your own products and services or as part of a broader Google solution like the Places API or Nearby API. The ecosystem of app developers and beacon manufacturers is important in pushing these technologies forward and the best ideas won’t come from just one company, so we encourage you to get some Eddystone-supported beacons today from our partners and begin building! Update (July 16, 2015 11.30am PST) To clarify, beacons registered with proper place identifiers (as defined in our Places API) will be used in Place Picker. You have to use Proximity Beacon API to map a beacon to a place identifier. See the post on Google's Geo Developer Blog for more details. Mobile phones have made it easy to communicate with anyone, whether they’re right next to you or on the other side of the world. The great irony, however, is that those interactions can often feel really awkward when you're sitting right next to someone. Today, it takes several steps -- whether it’s exchanging contact information, scanning a QR code, or pairing via bluetooth -- to get a simple piece of information to someone right next to you. Ideally, you should be able to just turn to them and do so, the same way you do in the real world. This is why we built Nearby. Nearby provides a proximity API, Nearby Messages, for iOS and Android devices to discover and communicate with each other, as well as with beacons. Nearby uses a combination of Bluetooth, Wi-Fi, and inaudible sound (using the device’s speaker and microphone) to establish proximity. We’ve incorporated Nearby technology into several products, including Chromecast Guest Mode, Nearby Players in Google Play Games, and Google Tone. With the latest release of Google Play services 7.8, the Nearby Messages API becomes available to all developers across iOS and Android devices (Gingerbread and higher). 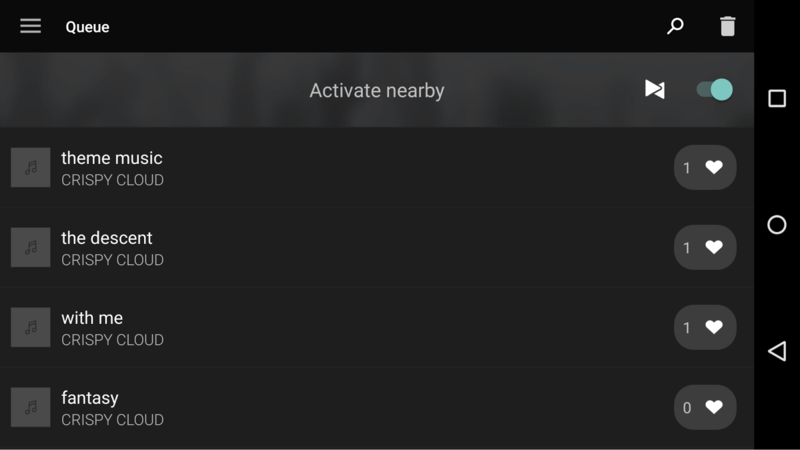 Nearby doesn’t use or require a Google Account. The first time an app calls Nearby, users get a permission dialog to grant that app access. A few of our partners have built creative experiences to show what's possible with Nearby. Edjing Pro uses Nearby to let DJs publish their tracklist to people around them. The audience can vote on tracks that they like, and their votes are updated in realtime. 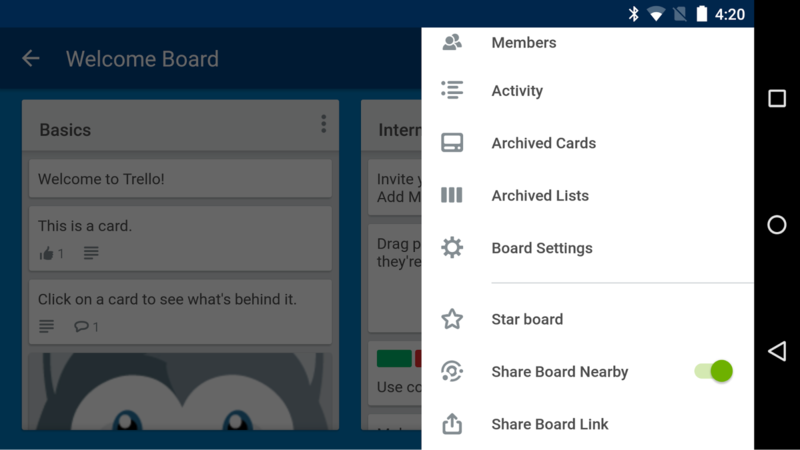 Trello uses Nearby to simplify sharing. Share a Trello board to the people around you with a tap of a button. 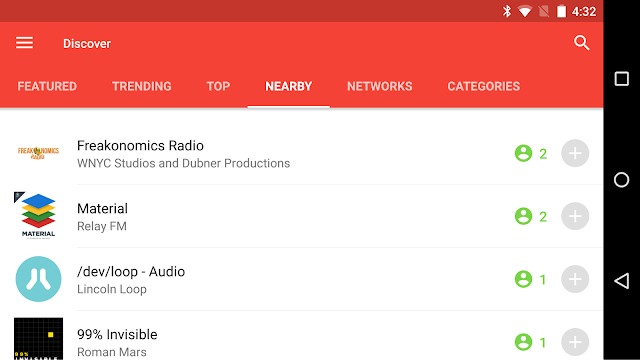 Pocket Casts uses Nearby to let you find and compare podcasts with people around you. Open the Nearby tab in Pocket Casts to view a list of podcasts that people around you have, as well as podcasts that you have in common with others. 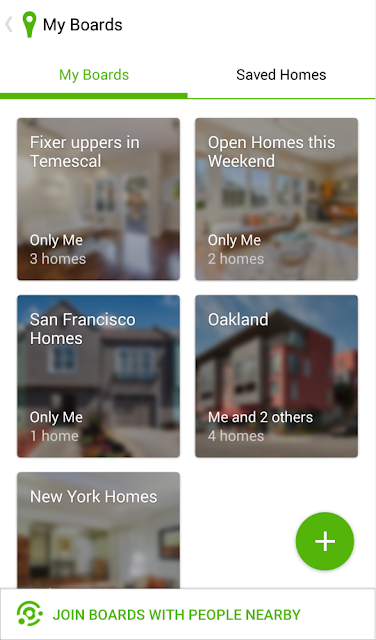 Trulia uses Nearby to simplify the house hunting process. Create a board and use Nearby to make it easy for the people around you to join it. To learn more, visit developers.google.com/nearby?utm_campaign=nearby-api-714&utm_source=gdbc&utm_medium=blog. MDL makes it easy to add a material design look and feel to your websites. The “Lite” part of MDL comes from several key design goals: MDL has few dependencies, making it easy to install and use. It is framework-agnostic, meaning MDL can be used with any of the rapidly changing landscape of front-end tool chains. MDL has a low overhead in terms of code size (~27KB gzipped), and a narrow focus—enabling material design styling for websites. 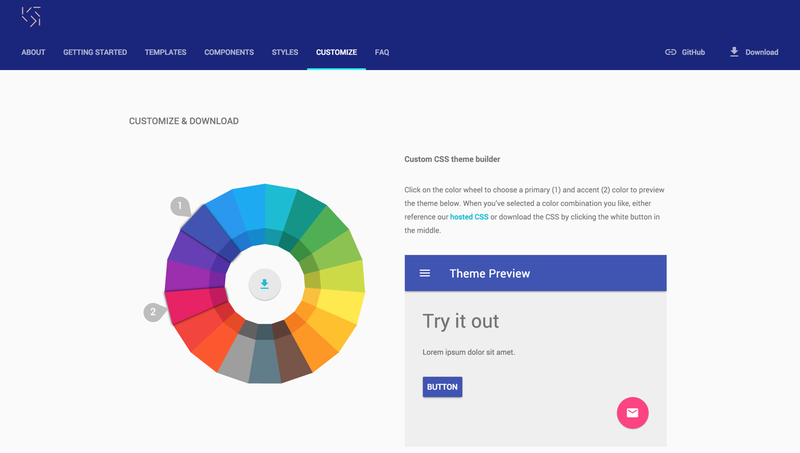 Get started now and give it a spin or try one of our examples on CodePen. 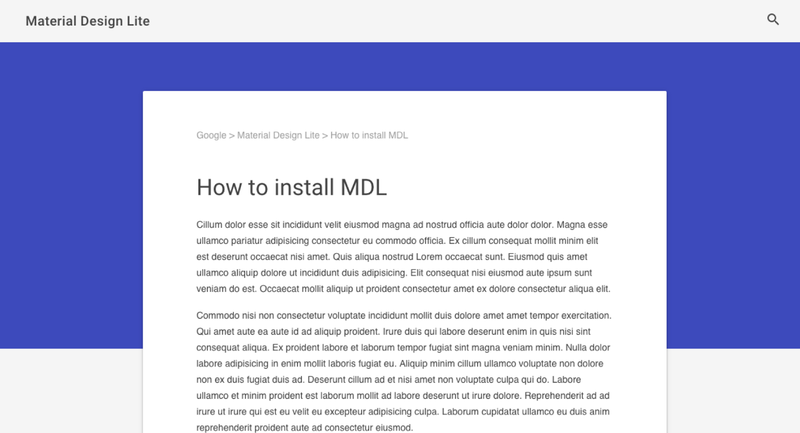 MDL is a complimentary implementation to the Paper elements built with Polymer. The Paper elements are fully encapsulated components that can be used individually or composed together to create a material design-style site, and support more advanced user interaction. That said, MDL can be used alongside the Polymer element counterparts. MDL optimises for websites heavy on content such as marketing pages, text articles and blogs. We've built responsive templates to show the broadness of sites that can be created using MDL that can be downloaded from our Templates page. 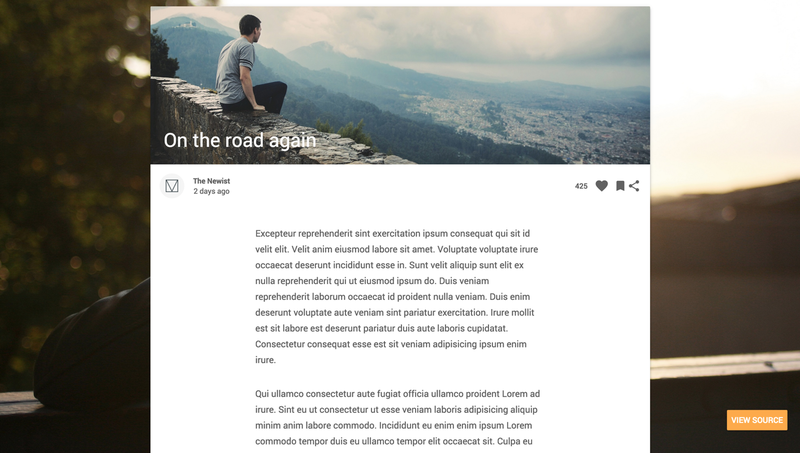 We hope these inspire you to build great looking sites. 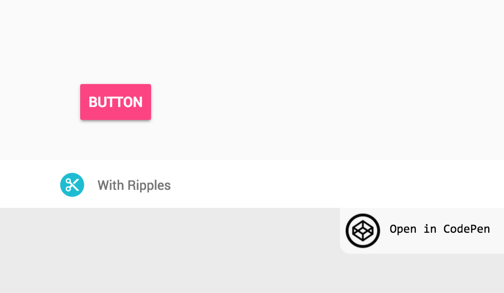 MDL includes a rich set of components, including material design buttons, text-fields, tooltips, spinners and many more. 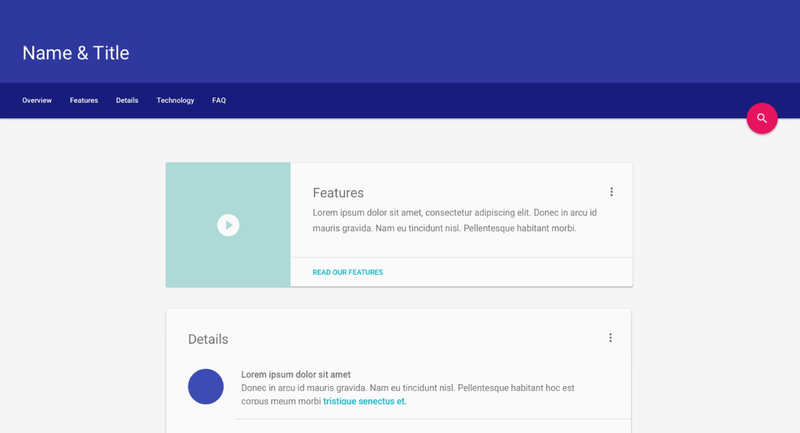 It also include a responsive grid and breakpoints that adhere to the new material design adaptive UI guidelines. The MDL sources are written in Sass using BEM. 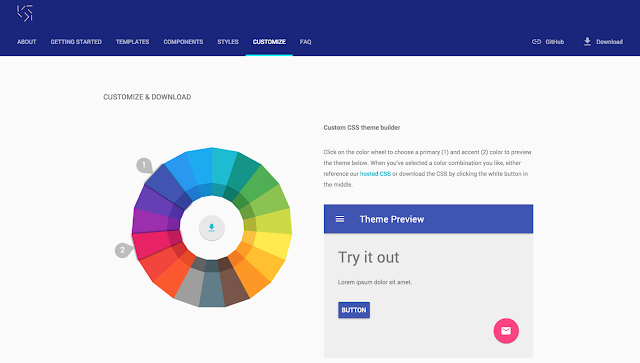 While we hope you'll use our theme customizer or pre-built CSS, you can also download the MDL sources from GitHub and build your own version. The easiest way to use MDL is by referencing our CDN, but you can also download the CSS or import MDL via npm or Bower. The complete MDL experience works in all modern evergreen browsers (Chrome, Firefox, Opera, Edge) and Safari, but gracefully degrades to CSS-only in browsers like IE9 that don’t pass our Cutting-the-mustard test. Our browser compatibility matrix has the most up to date information on the browsers MDL officially supports. 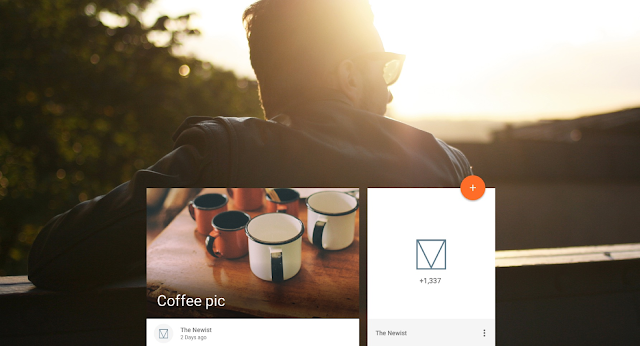 We've been working with the designers evolving material design to build in additional thinking for the web. This includes working on solutions for responsive templates, high-performance typography and missing components like badges. MDL is spec compliant for today and provides guidance on aspects of the spec that are still being evolved. As with the material design spec itself, your feedback and questions will help us evolve MDL, and in turn, how material design works on the web. MDL is built on the core technologies of the web you already know and use every day—CSS, HTML and JS. 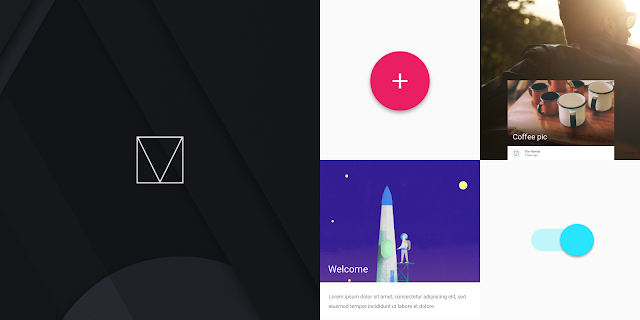 By adopting MDL into your projects, you gain access to an authoritative and highly curated implementation of material design for the web. We can’t wait to see the beautiful, modern, responsive websites you’re going to build with Material Design Lite. Remote Display on Google Cast allows your app to display both on your mobile and Cast device at the same time. Processing is a programming language that allows artists and hobbyists to create advanced graphics and interactive exhibitions. By putting these two things together we were able to quickly create stunning visual art and display it on the big screen just by bringing our phone to the party or gallery. This article describes how we added support for the Google Cast Remote Display APIs to Processing for Android and how you can too. An example app from the popular Processing toxiclibs library on Cast. Download the code and run it on your own Chromecast! Processing has its own IDE and has many contributed libraries that hide the technical details of various input, output and rendering technologies. Users of Processing with just basic programming skills can create complicated graphical scenes and visualizations. To write a program in the Processing IDE you create a “sketch” which involves adding code to life-cycle callbacks that initialize and draw the scene. You can run the sketch as a Java program on your desktop. You can also enable support for Processing for Android and then run the same sketch as an app on your Android mobile device. It also supports touch events and sensor data to interact with the generated apps. Instead of just viewing the graphics on the small screen of the Android device, we can do better by projecting the graphics on a TV screen. Google Cast Remote Display APIs makes it easy to bring graphically intensive apps to Google Cast receivers by using the GPUs, CPUs and sensors available on the mobile devices you already have. Adding support for Remote Display involved modifying the Processing for Android Mode source code. To compile the Android Mode you first need to compile the source code of the Processing IDE. We started with the source code of the current stable release version 2.2.1 of the Processing IDE and compiled it using its Ant build script (detailed instructions are included along with the code download). We then downloaded the Android SDK and source code for the Android Mode 0232. After some minor changes to its build config to support the latest Android SDK version, we used Ant to build the Android Mode zip file. The zip file was unzipped into the Processing IDE modes directory. We then used the IDE to open one of the Processing example sketches and exported it as an Android project. In the generated project we replaced the processing-core.jar library with the source code for Android Mode. We also added a Gradle build config to the project and then imported the project into Android Studio. The main Activity for a Processing app is a descendent of the Android Mode PApplet class. The PApplet class uses a GLSurfaceView for rendering 2D and 3D graphics. We needed to change the code to use that same GLSurfaceView for the Remote Display API. It is a requirement in the Google Cast Design Checklist for the Cast button to be visible on all screens. We changed PApplet to be an ActionBarActivity so that we can show the Cast button in the action bar. The Cast button was added by using a MediaRouteActionProvider. To only list Google Cast devices that support Remote Display, we used a MediaRouteSelector with an App ID we obtained from the Google Cast SDK Developer Console for a Remote Display Receiver. Next, we created a class called PresentationService that extends CastRemoteDisplayLocalService. The service allows the app to keep the remote display running even when it goes into the background. The service requires a CastPresentation instance for displaying its content. The CastPresentation instance uses the GLSurfaceView from the PApplet class for its content view. However, setting the CastPresentation content view requires some changes to PApplet so that the GLSurfaceView isn’t initialized in its onCreate, but waits until the service onRemoteDisplaySessionStarted callback is invoked. When the user selects a Cast device in the Cast button menu and the MediaRouter onRouteSelected event is called, the service is started with CastRemoteDisplayLocalService.startService. When the user disconnects from a Cast device using the Cast button, MediaRouter onRouteUnselected event is called and the service is stopped by using CastRemoteDisplayLocalService.stopService. For the mobile display, we display an image bitmap and forward the PApplet touch events to the existing surfaceTouchEvent method. When you run the Android app, you can use touch gestures on the display of the mobile device to control the interaction on the TV. Take a look at this video of some of the Processing apps running on a Chromecast. Most of the new code is contained in the PresentationService and RemoteDisplayHelper classes. Your mobile device needs to have at least Android KitKat and Google Play services version 7.5.71. Now you can try the Remote Display APIs in your Processing apps. Instead of changing the generated code every time you export your Android Mode project, we recommend that you use our project as a base and simply copy your generated Android code and libraries to our project. Then simply modify the project build file and update the manifest to start the app with your sketch’s main Activity. To see a more detailed description on how to use the Remote Display APIs, read our developer documentation. We are eager to see what Processing artists can do with this code in their projects.